This week was London Technology Week, and across the capital events have been taking place to celebrate the city’s rapidly growing technology sector and all the awesome stuff that’s happening with it. On Tuesday we joined a lot of eager young coders, as well as their parents and teachers, at #TechDay at Dragon Hall in Holborn. We had a lot of fun demonstrating some of our Scratch projects, and seeing some great ‘wow’ moments as kids and adults alike tried their hand at some coding! We were also invited along to an event at Croydon Tech City, to learn more about the vibrant emerging tech scene in the Croydon area. 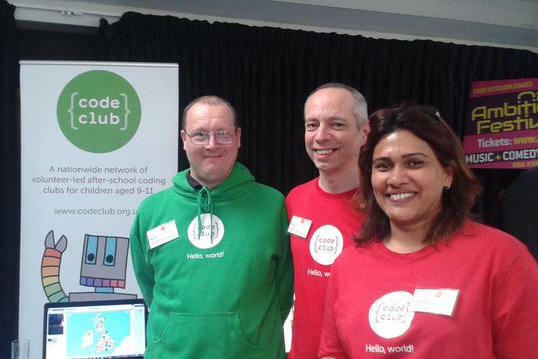 They are helping us to spread the word about Code Club through their Future Tech City strand and have set themselves a target to have a Code Club in every primary school in the borough – hooray! Superstar volunteers Marc Grossman, Paul Sinnett and Saleha Salahudin were running a stand talking to people about the awesome club they run in a local library – and they were drawing a big crowd with some Makey Makey banana pianos! We still need more London volunteers! 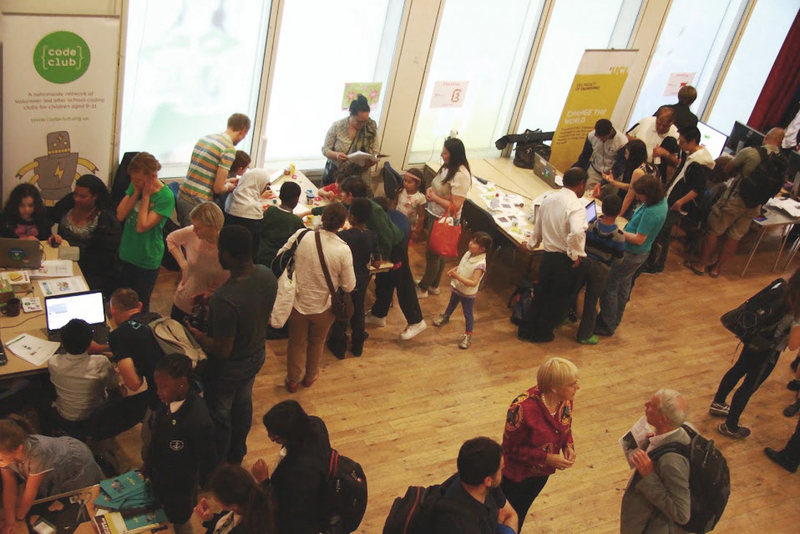 Code Club’s history is well rooted in London – it’s where many of our longest running clubs and volunteers are situated. However, there’s still huge demand for more volunteers to start new clubs in and around the city (as well as many other areas of the UK as well). 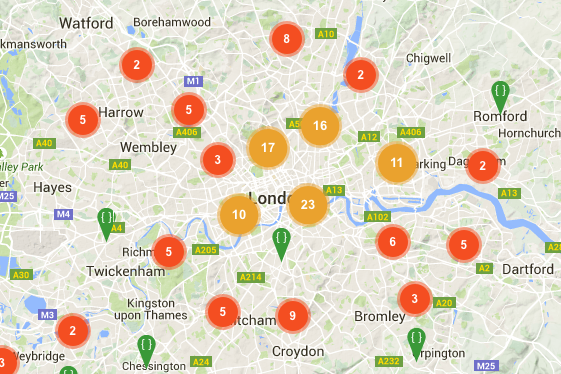 In fact, right now, within 5 miles of London City Hall, there are 61 venues looking for volunteers to run a Code Club. So, if you’re based in London, and think that you can spare 1 hour a week to share your passion for technology with the next generation – then check out our website to learn how you can start your own Code Club.